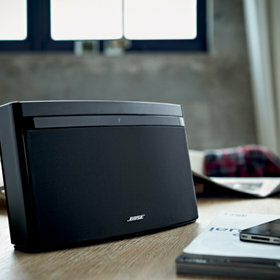 This compact, one-piece, wireless speaker system delivers full, lifelike sound. 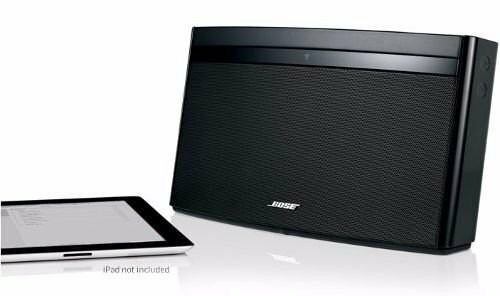 This compact system delivers acoustic performance similar to that of the Bose SoundDock digital music systems, using Bose waveguide speaker technology. 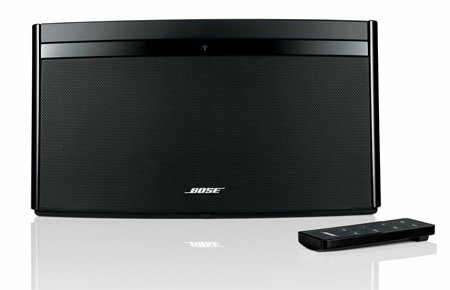 You'll hear the rich, detailed sound you'd expect from a much larger speaker. 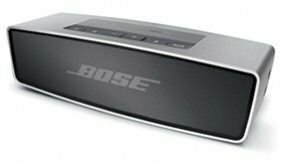 Just plug it in, add it to your home wireless network, and you have a go-to speaker for playing your favorite streaming content. 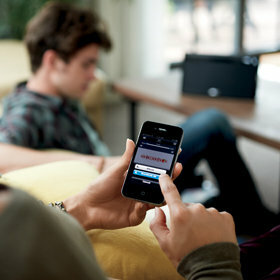 Instead of physically docking your device, you connect wirelessly via AirPlay to stream music from your compatible Apple device or a computer running iTunes. And you have full use of your Apple device as you listen. Setup is easy. Just plug in the system, connect it to a computer with the included USB cable and go to the setup site. The site walks you through the steps to configure your system. Once you're up and running, the system communicates with your devices wirelessly over your home network, and you can move it anywhere you want to listen. You can use your Apple device or computer to control the system remotely. The system also features an auxiliary input so you can connect and play music from other devices that don't utilize AirPlay. And an optional rechargeable battery turns the system into a portable speaker that you can carry easily from room to room with its built-in handle. Control the system with your device or with the included remote. You can also adjust the volume with buttons on the system. 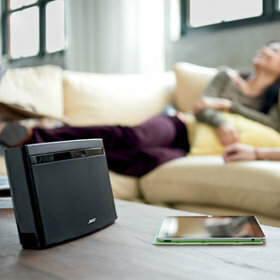 Additional SoundLink Air systems in multiple rooms networked to your computer can stream music throughout your home. You'll never miss a beat as you move from one place to another. Remote controls system power and volume and iPhone or iPod playlist navigation.